Website design Evansville Indiana | VISIONEFX designed a financial services website to help grow the client base of the Centennial Team. VISIONEFX provides website design for financial professionals to include; financial consulting websites and financial planning websites. 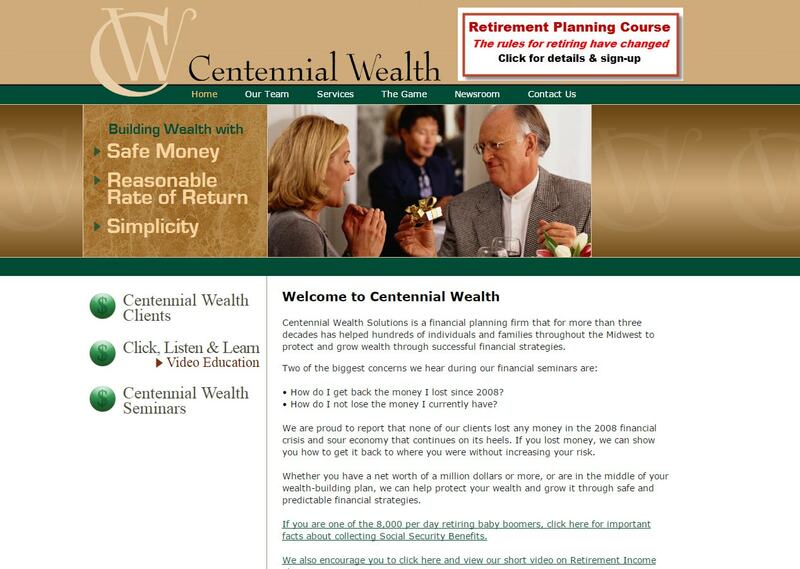 Centennial Wealth Solutions has offices based in Evansville, IN. When searching Web site design Evansville Indiana look no further than the web design experts at VISIONEFX for all of your website needs. VISIONEFX is a Web design company providing services to national companies and small businesses throughout the United States. Our services include; Custom web design, Web development, E-commerce web design, Word Press web design, SEO and Website maintenance services. Call: (757) 619-6456 or info@visionefx.net.